More than 40 years of loving our clients and helping them achieve their dreams. Custom home remodeling throughout San Antonio including these exclusive neighborhoods: Alamo Heights, Dominion, Elm Creek, Monte Vista, Olmos Park, Terrell Hills and many other communities. We took a dream and a picture and turned it into a wonderful use of space for this fine home. 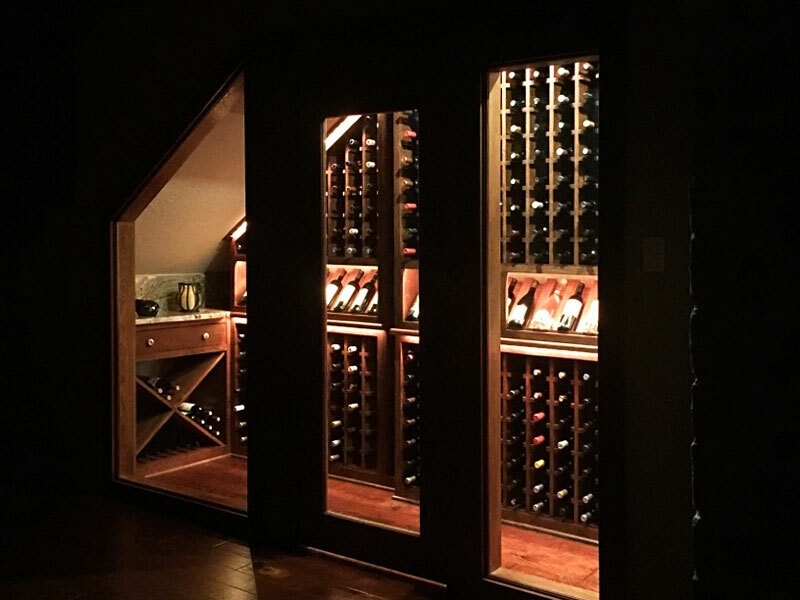 This wine room is constantly the center of parties and conversations with friends and guests. Professionalism, attention to detail and fine craftsmanship really stand out in this very unique project. We remodeled this entire home in Alamo Heights. This case study is focused on the new kitchen and staircase. The iron stair railing is custom designed and the stair tread wood matches new hard wood floors throughout the home. 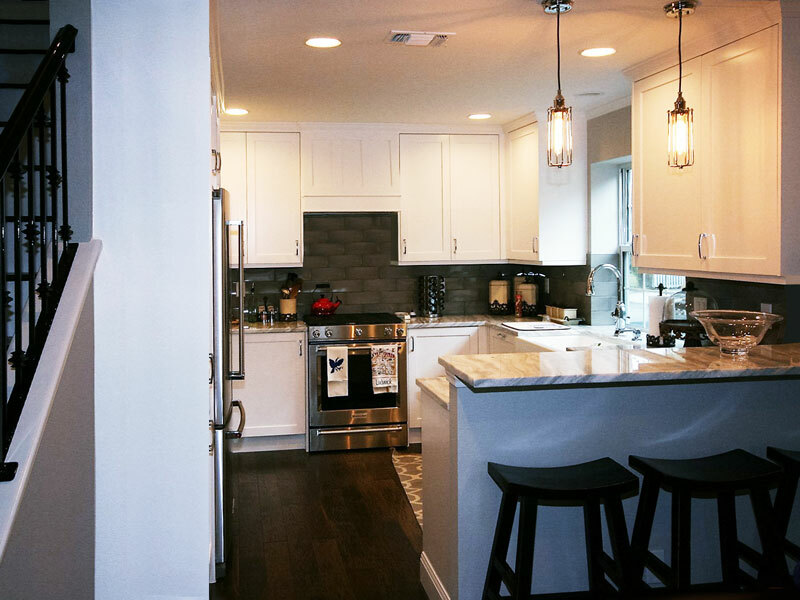 This fresh, new kitchen has all custom cabinets, granite countertops, apron sink, LED lighting, all new appliances including a Kitchen-Aid oven with gas cooktop and a Whirlpool vent-a-hood hidden in a custom cabinet. View Gallery of successful custom home remodeling projects throughout San Antonio including these exclusive neighborhoods: Alamo Heights, Dominion, Elm Creek, Monte Vista, Olmos Park and Terrell Hills. Experience, knowledge and skill are the crucial ingredients in custom home remodeling. Let us put 40-plus years of experience to work for you! We have long standing relationships with our sub-contractors in San Antonio, known for their fine craftsmanship and reliability. One of our Roxton company owners is on-site every day during construction to manage work quality. We stand behind our work 100% and provide care and service long after construction is complete. If you have a vision, we can help you move forward with a plan to achieve your dreams. Our brief Pricing Policy and Comprehensive Information Package is available and you will receive a copy at our first meeting … you can expect an easy, relaxed, yet professional atmosphere.